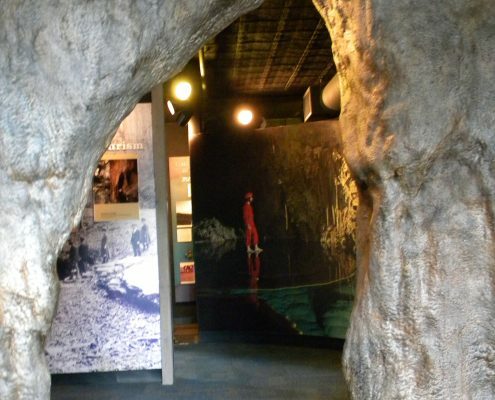 Exhibits in this state-of-the-art showcase of underground and natural history include: bats, blind fish, cave animals, prehistoric and modern cave explorers, saltpeter mining, groundwater science and cave geology and more! Open 9 am to 5 pm year round. Extended hours 9 am to 7 pm Memorial Day weekend through Labor Day weekend.